’Tis the season for holiday parties and baked goods. Here’s how to keep your health-and-fitness goals in sight, while still enjoying the holidays. 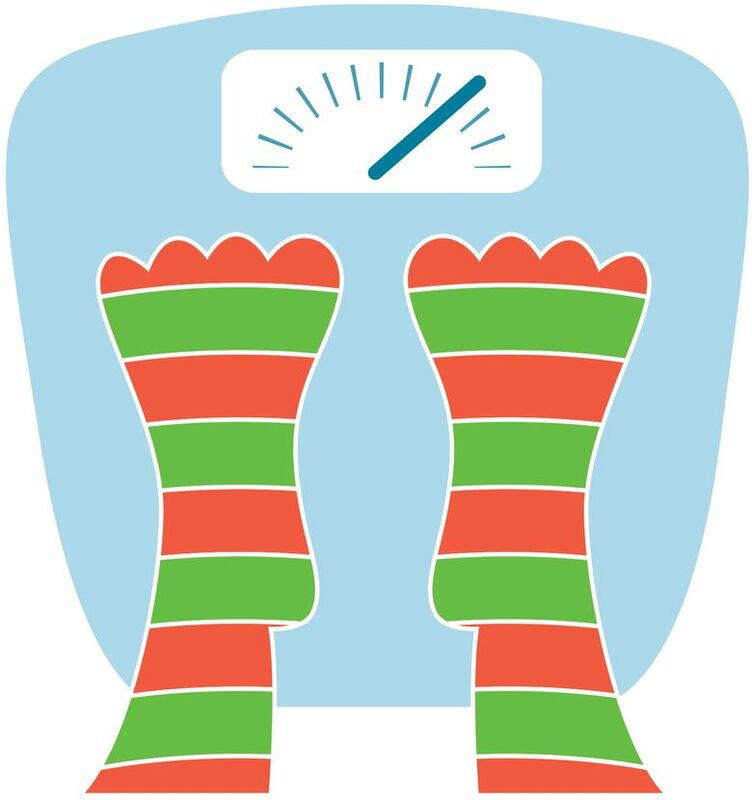 Whether it’s a second helping of Grandma’s famous pecan pie or one too many pieces of leftover Halloween candy, the holiday season can cause even the most disciplined among us to lose sight of our health and fitness goals. Fortunately, the next couple months don’t have to be a constant battle with the scale. Here are a few tips for keeping your health and fitness on track and ensuring your pants still fit by the time Jan. 2 rolls around. It can be tempting to eat less during the day when you know you’ll be getting some scrumptious holiday food later that evening, but arriving hungry to an event could lead to overeating. Instead, continue having regular meals and eat about the same amount of food during the event that you normally would at home. It may be challenging if many different foods are available, but limiting yourself to one plate with small portions will allow you to get a taste of everything while avoiding overdoing it. You can also avoid overeating by munching on a plate of vegetables or salad as an appetizer. Vegetables are low in calories, and filling up on them at the beginning of a meal will keep you from overindulging on higher-calorie options later on. Also, using smaller plates and bowls will help keep your portion sizes in check. While you’re eating, take time to chat with family and friends and fully enjoy your food. It takes about 20 minutes for our stomachs to realize we’re full, so wait at least 20 minutes after your first plate before deciding if you want seconds. If you know the desserts will be calling your name, decide ahead of time to have only one dessert. Telling your plan to a friend is also helpful; they can remind you of it when they see you inching closer and closer to the pile of chocolate-chip cookies. If salty snacks are your Achilles’ heel, decide ahead of time to avoid any chips or crackers. These snacks are available throughout the year, and there’s no reason to waste calories on them when there are bacon-wrapped scallops to be eaten. Alcoholic beverages, such as spiked apple cider, are a prominent feature of many fall celebrations. Unfortunately, drinks can provide a lot of unnecessary empty calories. With some cocktails hiding as many as 740 calories per drink, it’s best to stick to the recommendations of one drink for women and two for men. Watch out for craft beer as well, since some can have higher alcohol and calorie content than you may realize. One of the biggest obstacles to maintaining your health this time of year is the interruption to your regular workout routine. Try to plan social events and holiday preparations around your workouts, and don’t be afraid to leave the party early if it means you’ll be able to hit the gym in the morning. If you do miss a workout, don’t let it throw you off track. Get right back into your routine, and it will be like you never missed a beat. Last, an often-overlooked component of keeping your health on track is sleep. Whether you’re used to 6 hours or 10 hours each night, it’s important to not let the stress or bustle of the holidays interfere with your rest. Fatigue can make it much more challenging to feel energized for a workout or resist tempting holiday treats. Christine Stirparo RDN, CD, is a registered dietitian nutritionist at Pacific Medical Centers. She sees patients at the PacMed Beacon Hill, Federal Way and Renton clinics. Learn more at www.PacMed.org.